You can buy up to $9,500 worth of bitcoin per week using USPS, Western Union, or MoneyGram Money Orders. Money orders require 2-3 business days to clear. In order to buy with money order, you must provide a valid phone number (no voip, Google Voice or burner phones). Money orders made out to or from third parties will not be accepted. 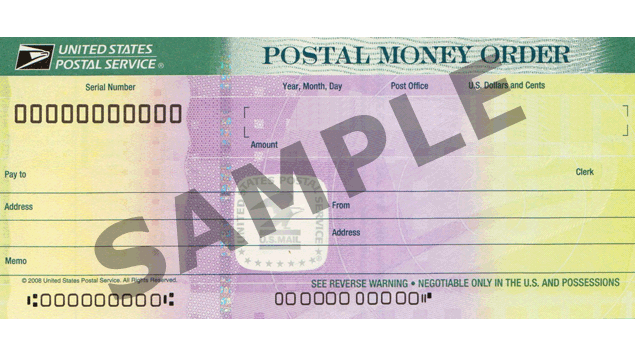 The customer is responsible for any returned money orders which were not paid by the issuing bank for any reason plus $30 returned item fee. Mail is checked Monday through Friday. Payments received on Saturday/Sunday will not be processed until the following business day. Failure to adhere to the directions provided may result in delays, payment rejection, or cancellation. No exceptions will be made to accommodate a buyer who does not read the instructions and follow them completely. Email us your bitcoin wallet address and we will give you the mailing address to send the payment to. For accuracy we only accept wallet addresses by email. The address is a locked mailbox. Make sure you use tracking and we suggest you send “signature required”. Once payment is received we will notify you. We cannot receive mail on the weekends.